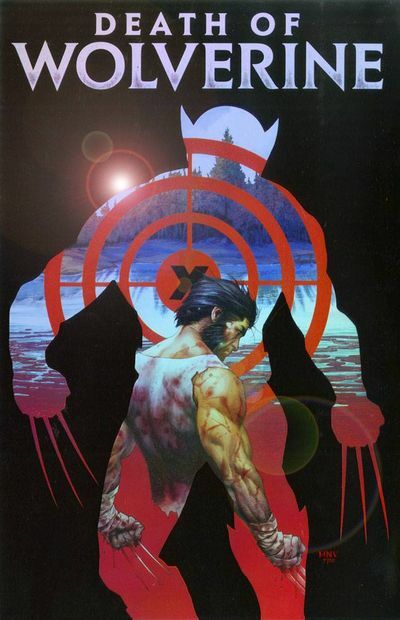 Recently I've found myself in a bit of a quandary because Marvel have decided to kill off Logan within their aptly titled mini-series, 'Death Of Wolverine'. One part of me is unsure if I should replace my regular Savage Wolverine reviews with something else. Another part of me wants to wait and see how things play out. And yet another part of me wishes to protest. So in fact, I will protest. In good old fashioned article form, stating why they should bring him back to life. OK. I know what you're thinking. Your thinking Canada is usually thought of as being a very nice loft conversion sitting on top of a wild party. But no. On the contrary, my friends! In the past this fairly flat country has managed to produce some really remarkable people like Dan Aykroyd, Pamela Anderson, John Candy, plus that man who stars in that film where his son f*cks pies. Well let's face it. If you ever think about some nut-job with pieces of metal attached to their limbs, whose name normally springs to mind? Terminator, perhaps? Robocop? Or what about Professor Stephen Hawking? Me? Nah! Forget about these wannabe's. In my eyes Logan will always be my main metal mutant nut-job. No matter how much Marvel will play about with his past! For someone who keeps on saying he's a loner, old mutton chops sure join's an awful lot of teams, doesn't he? I mean, you don't have to be Daredevil to see how many he's joined! 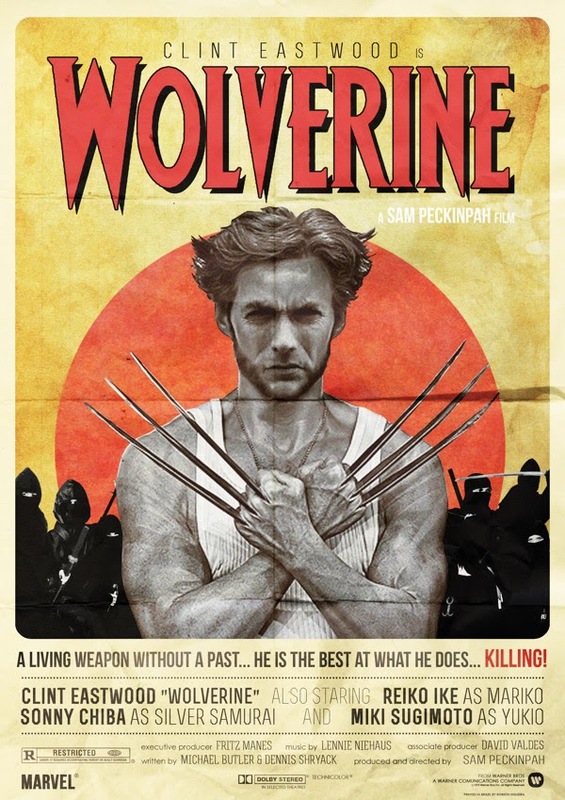 Ranging from The Avengers to The X-Men, Wolverine is the type of chap that teams-up with the best of them. And do you know why? Simple really. People just love being around him. People like what he does. People like how he does it. And people like how he's the best at what he does. Playing dominoes. All the short people of the world really need Logan around. And do you know why they need him around? I tell you why. Because without him all the tall people of the world will look down on them and frown as they have done with such heroes as Ray Palmer's Atom, or Hank Pym's Ant-Man. And we can't have that now, can we? That's... errrr... size-ist!!!! Hey! Can you name someone who can rock a pair of sideburns better than Logan? Not many, is there? 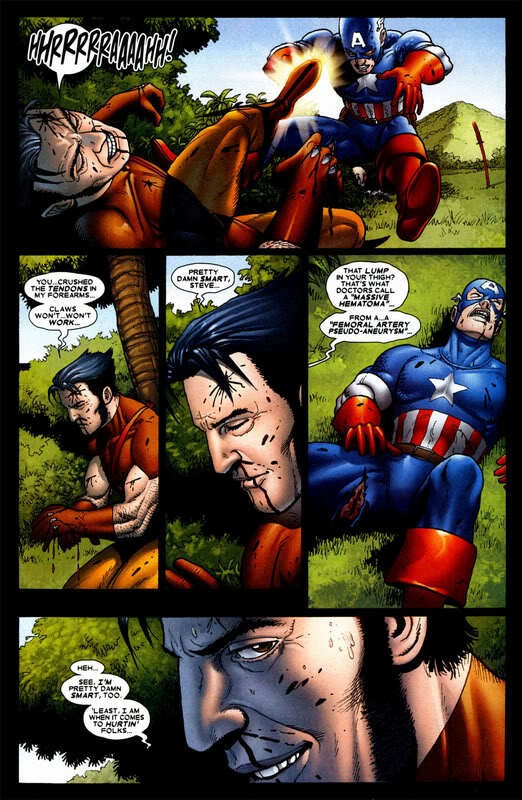 And that's another reason why Marvel has to bring him back. Without him, sideburns will be marginalized by Victorian villains and heavy metal guitarists. 6) He Must Sound Like Clint Eastwood, Right? Yeah-Yeah-Yeah. I know what you're saying to yourself. Of course he must sound like Clint! Especially since Clint-light -- also known as Hugh Jackman (or Huge Hampton in London) -- plays Logan in the films. But please remember, folks, Hugh is only six years older than Logan in comic book terms. Plus I'm sure that when Len Wein and John Romita Senior created Wolverine back in 1971, they weren't thinking of an Australian kid with nicely quaffed hair. Know what I mean? So there you have it, dear reader. My reasons for bringing back Logan. What do you think? Do you agree? Do you disagree? Or couldn't you give a toss? Well, whatever the case may be let me know, OK? And together we will unite to bring back our much beloved James Howlett.